As with all of the challenges when I issues the challenge to wear your hair down for a week it was as much a challenge for me as for all of you. When the month started I had no idea how hard it would be to actually ditch the ponytail/messy bu style that I had become so comfortable in. Putting my hair up had become almost a mindless task that I would just do without even noticing that I was doing it. So hard I am changing the challenge (just a little!) I still want you to try for a week, but even if you only manage one day I want you to link up and tell us about it! 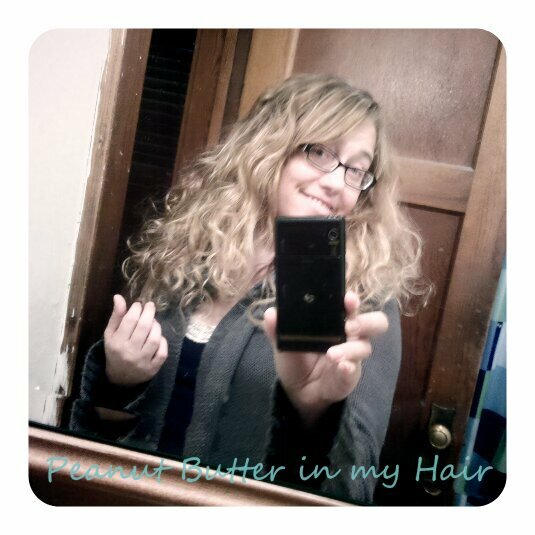 I'm wearing my curls even if they are a little stringy, or frizzy or blah. I can blow a ton of smoke up your you know what about embracing your inner SJP etc but I won't. The truth is I what has really helped "embrace" the imperfection is a few simple tricks. The biggest and best of all, a sock bun. Loose curls that look more put together than my normal slept on curls (and I will not admit how many days it has been since that hair was washed!). So ladies. Embrace imperfection! Snap a picture and share it with us, it's time to let down your hair! 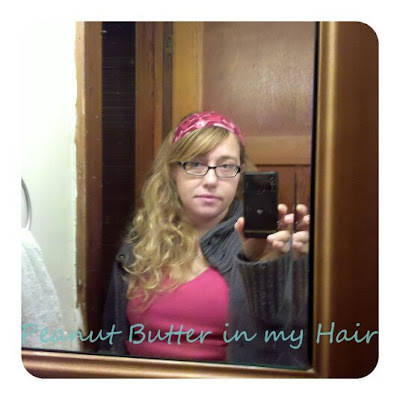 You can join in by doing a post, posting a photo to the Peanut Butter in my Hair Facebook Page, or the Dress Like a Girl Flickr Group. Then come back and link up. The link up will remain open all month. It looks gorgeous in both pics!!! In order for me to wear my hair down, I just chopped it. :) That counts, right? Wearing mine down would definitely be a challenge! Love your hair. I'm not sure how to do this one though, because I end up having to do my hair every day. A ponytail would actually be out of the ordinary because of my bangs. I'm doing this, too! I have similar hair to yours and had never thought of doing the sock bun overnight - great idea!